New Crucible Gameplay, Hotfix, Raid Talk! Datto, MoreConsole, and My name is Byf were able to play the new Crucible maps coming to The Dark Below at PSX, which are listed further below in this article. First of all, wanted to update you all on the speculation about the Vault of Glass ‘harder’ mode – at level 31. @DoDEast @DestinyNews_net There is neither a "new level 31 hard VoG," nor a "third difficulty for VoG" in The Dark Below. So it’s not getting an added difficulty level in TDB, though it’s still possible for the future, as I’m sure they’re going to continue updating VoG a bit (the podcast below hints at it). Destiny Expansion I: The Dark Below will become available for download by players on December 9th at 1AM Pacific time. Before it arrives, this update will support the delivery of new content. Players who need to level up to successfully complete featured missions at new difficulty levels will find what they need to upgrade their characters in the Tower. As part of Expansion I, vendors will be equipped with more powerful weapons and gear. These items will be available for acquisition by all players. 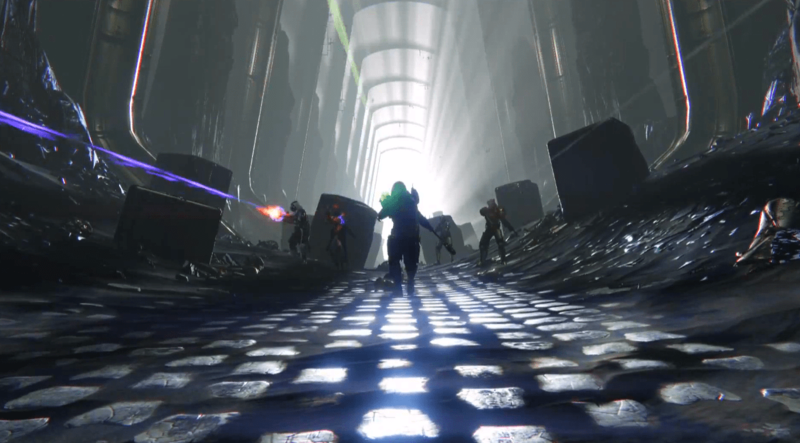 The guys over at TTL talked to DeeJ and Luke Smith about the Crota’s End raid and Destiny’s evolution! DeeJ knew of such a group, and began coordinating what was referred to internally as “Bring your clan to work day”. Finally in this news roundup, Paul McCartney has officially released his new single! You can download this song here (save link as…). Next Post:ALL Dark Below Grimoire Leaked!